Manufacturer of a wide range of products which include stainless steel t profile 304 grade, ss t profile 304 grade, ss 304 grade t profile, ss 304 flat profile, stainless steel profile and ss profile. 304 is not the only stainless steel and is not appropriate in every application. However, an understanding of the attributes of 304 provides an excellent base for comparing members of the austenitic family of stainless steels and a practical base for determining the appropriateness of stainless steel in a given application. You already have substantial experience of 304 and its properties on which to draw. Chances are some of your cutlery (look for the telltale 18/8 or 18/10 designation), your saucepans and your sink are 304 stainless. 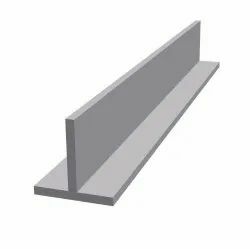 This SS 304 GRADE T PROFILE products are high in demand due to their premium quality, seamless finish, different patterns and affordable prices. Furthermore, we ensure to timely deliver these products to our clients, through this we have gained a huge clients base in the market. STAINLESS STEEL 304 FLAT PROFILE are produced on rolling mills utilizing relatively smooth, cylindrical rolls. The width to thickness ratio of flat rolled products is usually fairly large. Flats is the spring steel that goes into the automobile and railway suspension. These steel flat bars are produced using advanced thickness-control technology for precisely controlled thickness. Shaped wires, also known as solid profiles, allow achieving complex geometries and cross-sections. These wires are manufactured from stainless steel, high carbon steel and mild steel wires as per the customer’s specific requirement, in Flat, Square, Triangular, Half round and Trapezoidal shapes. The profile of the wires can be adjusted to meet customers actual needs. Wires can be supplied in annealed and drawn finish. These wires find application in automobile sector for manufacturing of washers, circlips, springs, wiper, arms, blades, auto cables (inner and outer), kitchen accessories, utensils, Flat, Square, Triangular, Half round and Trapezoidal shapes Etc. Over the years, we have been engaged in offering an exclusive collection of;Stainless Steel Profiles. 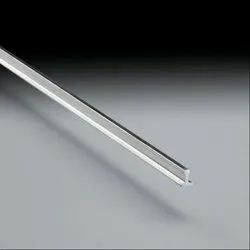 ;The provided steel profile is manufactured using finest stainless steel & latest techniques in accordance with the set norms. 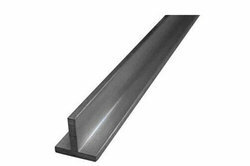 Our offered steel profile is known for its high strength, corrosion resistance and durability. Being a client centric firm, we are involved in offering an extensive range of SS T PROFILE. We offer this product at nominal costs. STAINLESS STEEL GRADE PROFILE 316 is molybdenum-bearing austenitic. The higher nickel and molybdenum content in this grade allows it to demonstrate better overall corrosion resistant properties than 304, especially with regard to pitting and crevice corrosion in chloride environments. We are offering an exclusive collection of STAINLESS STEEL 304 T PROFILE. Offered product is highly demanded for fabricating various steel products. Under the observation of experts, this product is manufactured using optimum quality stainless steel in accordance with set industry norms. The product offered by us is highly cherished among our customers for its fine finish and superior quality. Moreover, clients can avail this 304 Stainless Steel T Profile from us at negotiable prices. Being a client centric firm, we are involved in offering an extensive range of Steel T Profile. We offer this product at nominal costs.